Within the continuum of reproductive health care, antenatal care provides a platform for important health-care functions, including health promotion, screening and diagnosis, and disease prevention. It has been established that, by implementing timely and appropriate evidence-based practices, antenatal care can save lives. 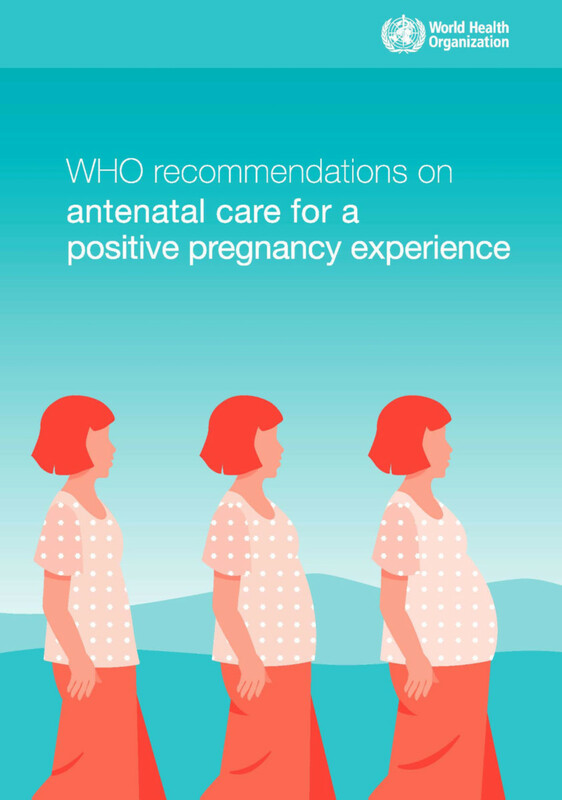 Endorsed by the United Nations Secretary-General, this is a comprehensive WHO guideline on routine antenatal care for pregnant women and adolescent girls. It aims to complement existing WHO guidelines on the management of specific pregnancy-related complications. The guidance captures the complex nature of the antenatal care issues surrounding healthcare practices and delivery, and prioritizes person-centered health and well-being --- not only the prevention of death and morbidity --- in accordance with a human rights-based approach. "To achieve the Every Woman Every Child vision and the Global Strategy for Women's Children's and Adolescents' Health, we need innovative, evidence-based approaches to antenatal care. I welcome these guidelines, which aim to put women at the centre of care, enhancing their experience of pregnancy and ensuring that babies have the best possible start in life."